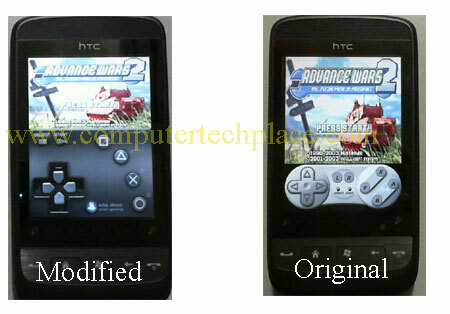 Windows Mobile GBA emulators are really a problem for touch screen devices, especially devices that are fully touch screen without any directional keys. How is it possible to run an emulator and play it directly off? After messing around and searching around for ages, I finally found a solution for Windows Mobile phones that have no directional pads. 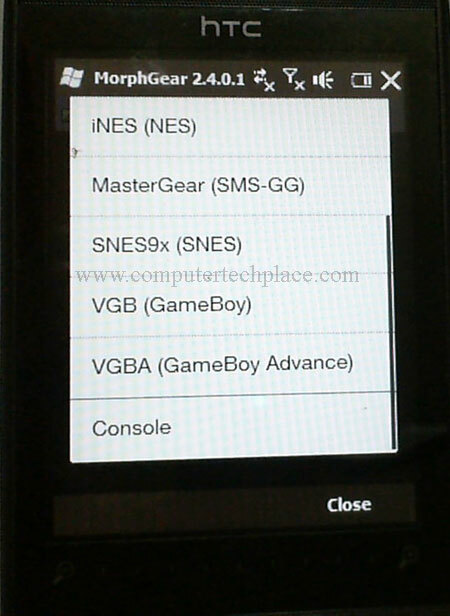 This guide will show you how to install a GBA emulator for a touch screen Windows Mobile phone. MorphGear emulator may be the quick answer to a lot of people, but the MorphGear emulator comes with a default game pad skin that looks small and skinny and almost impossible to play on. I have stumbled on a special skin created by the XDA developers and will fuse them both together to form a decent, good looking GBA emulator for Windows Mobile. Install the 2 chosen packages. 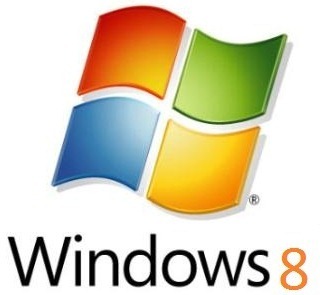 You will need to hook up your device to the computer and make sure it is connected to the Windows operating system via ActiveSync. Double click on the “MorphGear Modular game and emulation shell” file that you have downloaded to start the installation. Note that it will require you to finish the installation on the device itself. Similarly, double click on the MorphGear Module to perform the installation. Also check your device for additional steps. Check that the MorphGear emulator works and functions well, if you have installed it via the installer package, you will be able to find the program in the Menu\Games\MorphGear. If you see errors such as unable to load certain files due to insufficient memory, don’t despair, most likely you just do not have the MorphGear modules that are fully functional. If I install the Modules from the site itself, I see those errors as well. Check to make sure that the MorphGear emulator starts without errors. Thanks to the great developers at XDA, credits goes to blutz from XDA forum. 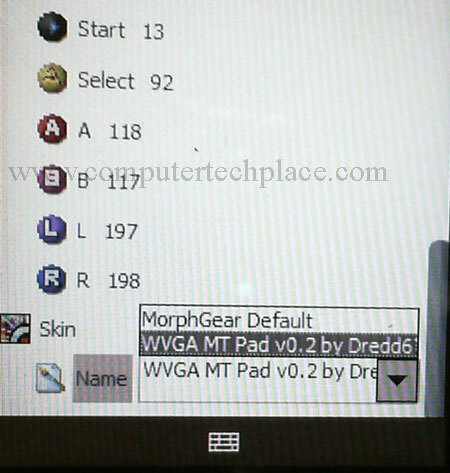 Simply extract the Gamepad.zip file and copy the 2 files to the \Program files\Games\MorphGear\skins folder. Scroll down all the way down to the “Skin” section and tap on the “Name”. Not on the MorphGear Default because you won’t get any reaction. Now tap on the down arrow to open up the drop down menu. If you did extract the file correctly and have them pasted onto the correct location, you will get additional options to choose from. But you won’t be able to choose by tapping on the screen itself, you will need to bring up the on screen touch keyboard and use the arrow keys to move to the GBA skin and followed by tapping the “enter” button of the on screen keyboard to save the settings. Tap the top left icon that looks like a “yellow folder” to load the game rom. I cannot provide games and roms on this site, but it should not be too difficult to find the rom. If everything goes well, you should see the game running. Tap anywhere below the mid area of your phone and the game pad will show itself. Tap anywhere all the way to the top where the menu bar will usually be will reveal the MorphGear options, which will allow you to close the emulator app. 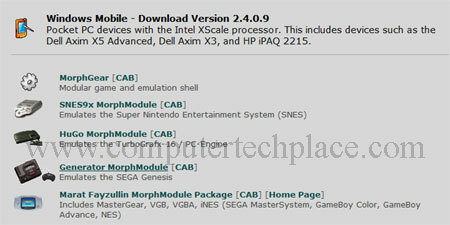 That is all for this guide on how MorphGear GBA emulator for touch screen Windows Mobile devices. All credits go to blutz from XDA developers forum. This is provided free at the forum anyway.